If we keep using OpenGL with everything on CPU with millions of points things are going to slow down really quickly. Fortunately GPUs have optimized these sorts of operations, which we can take advantage of using a shader and fragmenter with the OpenGL Shading Language (GLSL). Communication between CPU and GPU works through buffers, we set up a buffer that we'll push our vertices through and the GPU will read. All it does is pass on the points passed in one to one. In the fragment shader code we set the color to red. 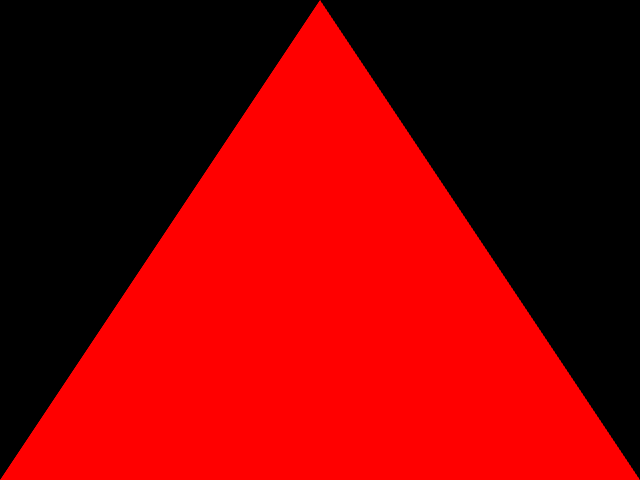 And we now have a red triangle, pretty underwhelming, but this framework will set the stage for our real-time N-body simulation.